Abu Dhabi: Visa applicants to the US have been overpaying up to five times the official amount warned US officials in Abu Dhabi on Tuesday, as they advised visa applicants to only apply through official channels instead of using middlemen who are over charging them. Speaking to Gulf News at the US embassy in Abu Dhabi on Tuesday, the senior officials made clear that visa fees have not been changed in the UAE with applicants having to pay a fee of $160 (Dh590) for nonimmigrant visas. “Lately we’ve noticed a scheme where more and more applicants were coming in [to the US consulate and embassy] and complaining about the visa fees. 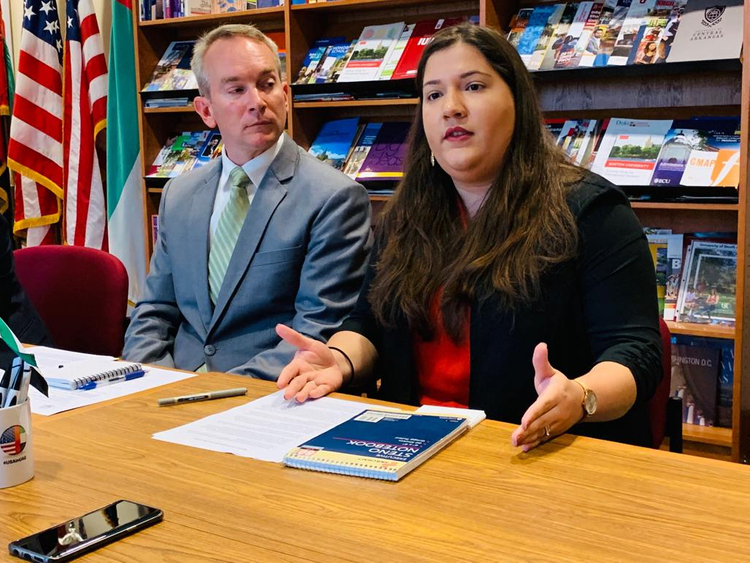 Now our fees have not changed in quite a long time so we started asking more and more people about this,” said Seth E Schleicher, consul at the US Consulate General. “We distributed a voluntary survey and came to find that out of the people that answered, we were seeing thousands of dollars in visa fees that were being paid… some of them are on websites [and] some of them are through travel agencies,” he added. Schleicher said that up to 20 percent of the people who took part in the survey had overpaid on their visa application fees as a result of going through middlemen. “As we were looking through [the survey results] we could guess perhaps around 20 percent of the non immigrant visa applicants had paid more than they needed to. “I’ve seen people charging double the visa fee [and also] five times as much. If some of the surveys we received back were any indications, sometimes it’s as much as a thousand dollars more [in over paying],” he added.